Quick overview This book charts key aspects of the Anglo-Scottish experience down to the Restoration and greatly improves understanding of that complex and troubled relationship. -- . 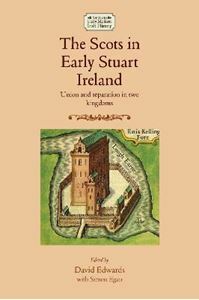 Exploring Irish-Scottish connections in the period 1603-60, this book brings important new perspectives to the study of the early Stuart state. Acknowledging the pivotal role of the Hiberno-Scottish world, it identifies some of the limits of England's Anglicising influence in the northern and western 'British Isles' and the often slight basis on which the Stuart pursuit of a new 'British' consciousness operated. Regarding the Anglo-Scottish relationship, it was chiefly in Ireland that the English and Scots intermingled after 1603, with a variety of consequences, often destabilising. The importance of the Gaelic sphere in Irish-Scottish connections also receives much greater attention here than in previous accounts. This Gaedhealtacht played a central role in the transmission of religious radicalism, both Catholic and Protestant, in Ireland and Scotland, ultimately leading to political crisis and revolution within the British Isles. -- .